Said he has been seeing someone just to have fun. He wants to continue seeing her, but not permanent. He doesn't want to shut the door on us completely. But he probably won't keep his promise to me. Always a wonderful reading . Very honest and gifted reader. Provided clarity around a situation for me. Thank yiu so much. Experience the Insights of Western Astrology, the power of Ancient Eastern philosophy and mystery of I-ching which can guide you and empower you in life matters and decisions..
You are entering a place of tranquility, peace and warmth. I am here to help you in your quest for happiness regarding life altering events. I can help you find life answering questions when talking about your love relationship and through Astrology, Psychic Visions, Reiki meditation, dream interpretations, I-Ching and Tarot. I practice Reiki meditation. Reiki (pronounced Ray-key) is an ancient, non-invasive, hands-on technique that focuses on healing the whole person physically, emotionally, mentally and spiritually. Reiki is a two syllable Japanese word meaning Universal Life Force Energy or spiritually guided life force energy. Let me help you tap into your inner strength and how to talk to God, your personal guides, angels and the universe. MoonLight Bay has been a user of Keen since 2001. 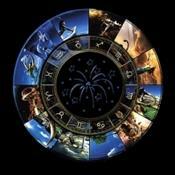 Getting Astrologers advice from MoonLight Bay through www.keen.com is safe, secure and confidential.